The countryside around the Moroccan city of Agadir is ripe with agriculture: tomatoes, sweet peppers, and other crops, providing for the local population and making up 60% of the country’s agricultural exports. This rural landscape dotted with greenhouses is where Hassan El Hemer grew up. The son of a farmer, El Hemer remembers that agricultural scene — and the waste it produced — from a very young age. Each season, the neighborhood greenhouses required clearing. 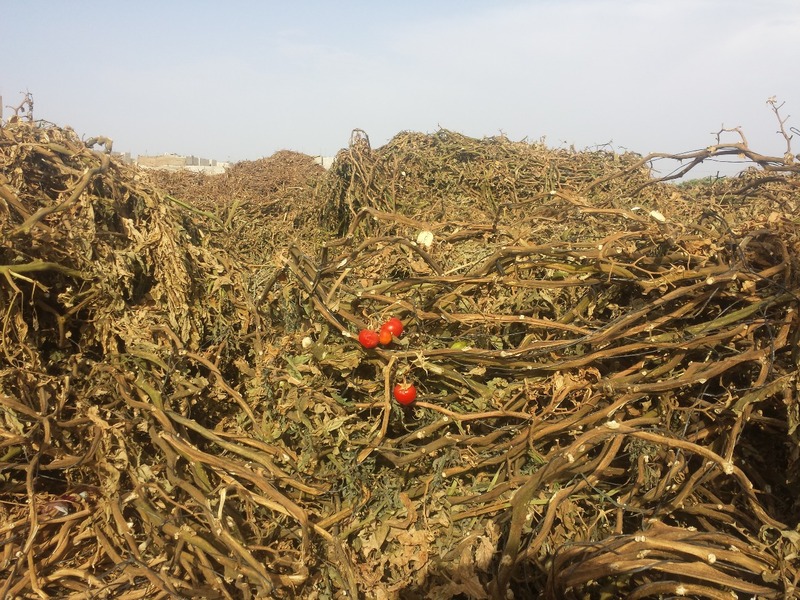 Plants that had already yielded their fruit or vegetable were unceremoniously de-rooted and shipped to a nearby landfill to be burned. Each hectare of land, El Hemer says, can produce up to 12 tons of agricultural waste in as many months. Returning for the summers between completing his biology degree, this waste would always bother him. But it was not until after graduating with a master’s degree in small- and medium-sized enterprises and entrepreneurship that he decided to do something about it. “I said, ‘well, we have to look at how to stop burning the waste, and look at how we can get something good from it.’ That was when I knew the only option was biochar,” El Hemer, now 29-years-old, says. To educate himself, he turned to the instructor of the 21st century: YouTube. That is where he discovered a young entrepreneur in Nigeria who was producing charcoal briquettes using organic waste. 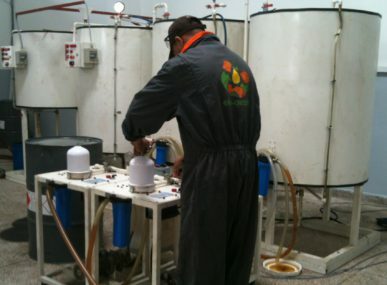 El Hemer had found his first solution, and BioChar Maroc was born. The charcoal briquette idea was a quick hit. Part of that was due to the market potential: the average Moroccan restaurant uses about 20 kilograms of charcoal daily to cook tagine, a signature dish prepared by simmering meat and vegetables in an earthenware pot over a charcoal stove. El Hemer’s innovation would cut down the environmental footprint of each and every dish. 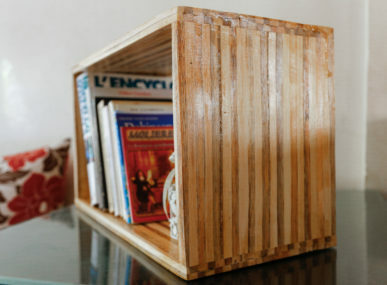 Seeing its potential, El Hemer’s idea was quickly supported by Cluster Solaire Maroc, a center in Casablanca that incubates projects related to climate change and the solar sector. 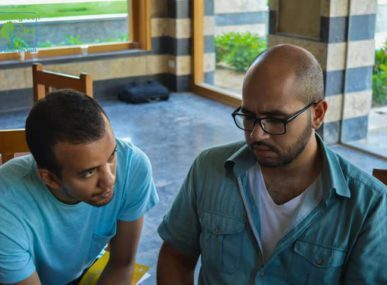 He was profiled by the Moroccan arm of The Huffington Post and BioChar Maroc’s work was highlighted as one of the promising projects to take off during 2016’s COP22 in Marrakech. During the lead-up to that conference, El Hemer did a tour in the Marrakech region to hustle hard with his green charcoal. That is when he realized there was a problem: the stoves used in Morocco were not adapted to work with briquette charcoal. If his product was going to work, El Hemer would either need to add new chemical ingredients for flammability or convince every Moroccan kitchen to use a different kind of stove. Instead, he pivoted to Plan B: biochar fertilizer. Biochar is the carbonized dust of charcoal, and, when mixed with soil, becomes a natural fertilizer. Explaining the role of biochar in agriculture is where El Hemer’s biology background comes out. He discusses the composition of Moroccan soil: its high pH level means the biochar fertilizer needs to be acidic, with a lower pH level. This, he says, creates optimal conditions for growing. “By controlling the temperature during the pyrolysis process [when the waste is being burned], we get a good charcoal that is adapted to the soil of Morocco — we cannot import a product like this,” El Hemer explains. 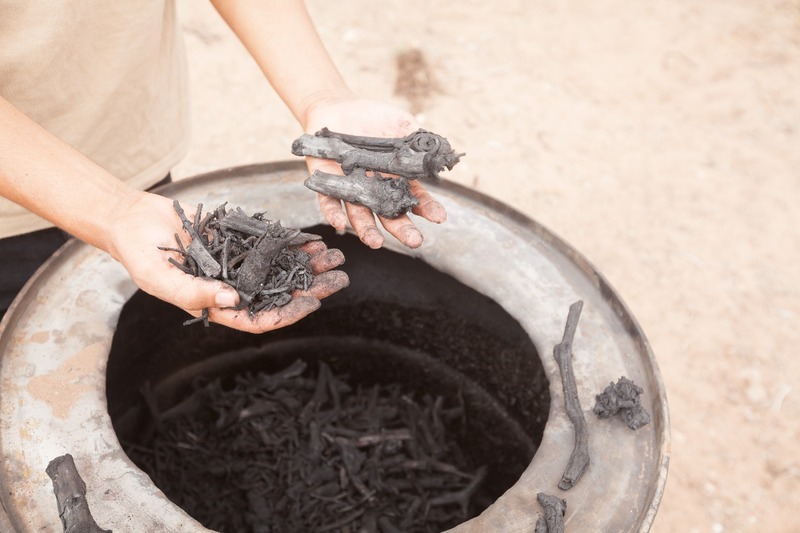 Biochar is becoming an increasingly popular solution worldwide. The International Biochar Initiative estimates the market will grow at a rate of 14.5% until 2025. It says the increased need for organic soil enhancement, government rules over the preservation of soil, the growing biofuel sector, and other factors will contribute to this growth. To transform this pile of organic leftovers and plastic into something usable, El Hemer invented a mechanical chopper that shreds the greenhouse waste. “It’s quick, and the job is done in one day,” explains El Hemer, adding that the fee he charges farmers is less than the cost of clearing the greenhouse and burning what remains. Once shredded, El Hemer takes the waste to a site near his family home where it is heated and transformed into biochar. Until the PEPS partnership comes through, El Hemer admits he is still at the beginning of his entrepreneurship journey. He currently collects waste from two small-scale farmers, and has already been in talks with bigger agricultural players, ones with more than 200 hectares (two square kilometers) of greenhouses. With social responsibility and environmental mandates, and the ongoing desire to reduce the cost of biomass disposal, El Hemer says big companies are the ideal customer. Producing more biochar fertilizer will also depend on building more mechanical choppers, and constructing a green kiln where the biochar can be carbonized. He is particularly interested in building a kiln that would collect the smoke used in the waste pyrolysis process. By doing so, El Hemer says the smoke could be reused in the combustion chamber, thereby recycling the emissions it takes to create biochar. El Hemer expects the kiln to be built by the end of the year, around which time he also plans to formally register the business as a start-up. An upcoming partnership could be a way to improve this technique: El Hemer has been in talks with PEPS, a Moroccan-French company based in Marrakech that uses solar energy to power the pyrolysis process. By using the sun to heat the 600° reactor chamber, PEPS’ process is entirely green and can transform biomass into biochar at a much higher rate. Just as he promoted his green charcoal briquettes and biochar during COP22, El Hemer is hustling his biochar fertilizer now. With little market competition, high demand, and promising partnerships on the horizon, El Hemer says he thinks 2018 will be his best year yet. 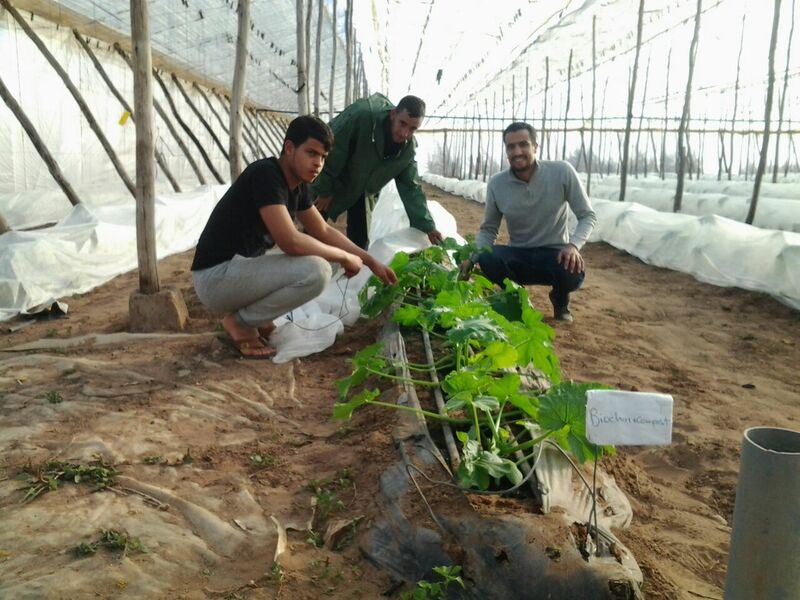 Photos: Courtesy of Biochar Maroc.